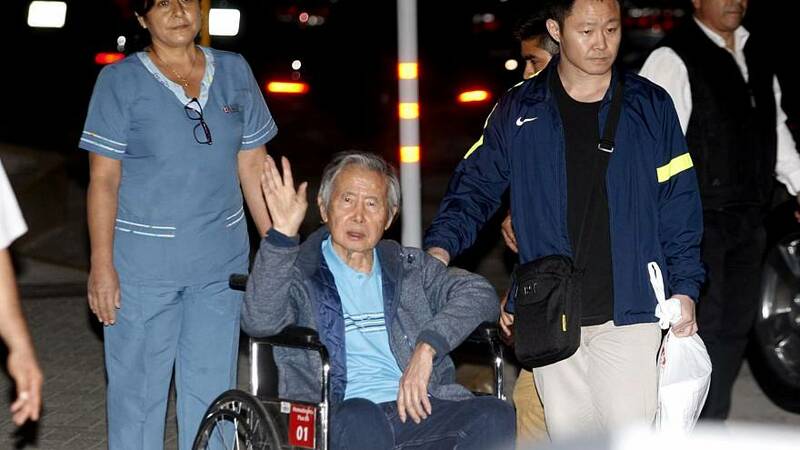 Peru's former President Alberto Fujimori has been taken to hospital after a judge annulled a pardon granted to him last year and ordered his immediate capture and return to prison. His lawyer says the 80-year-old will appeal the decision to return him to jail while his daughter called the decision inhuman and unjust. "It is extremely painful to know that a judge in our country has taken away my father's freedom, stating that because he is not dying, he does not have the right to a humanitarian pardon,"said Keiko Fujimori. But his critics say he is a corrupt dictator who was rightfully jailed in 2009, for 25 -years for ordering the killings of innocent peasants.